Your favourite cheeky dino teaches you about colours. (With a scoop of poop, of course.) Dino and Danny have spotted a rainbow in the sky! So they name all the colours they can see. But soon they notice there is one important colour missing. No worries: Dinosaur is keen to help fix that! 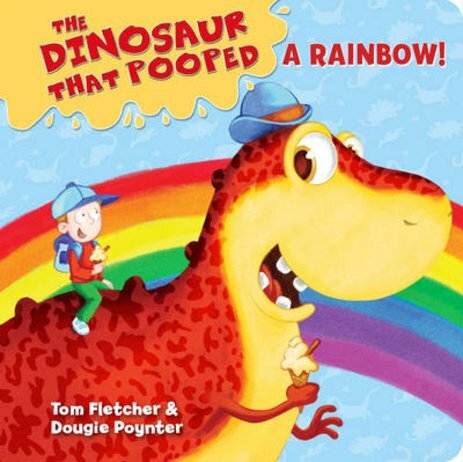 Big laughs, big dinos, big poops and a quick lesson in colours: what more could you want in a board book less than 20 pages long?